Ambrose Coffee Table, Dark Cherry Traditional dicor no longer has to be boring. 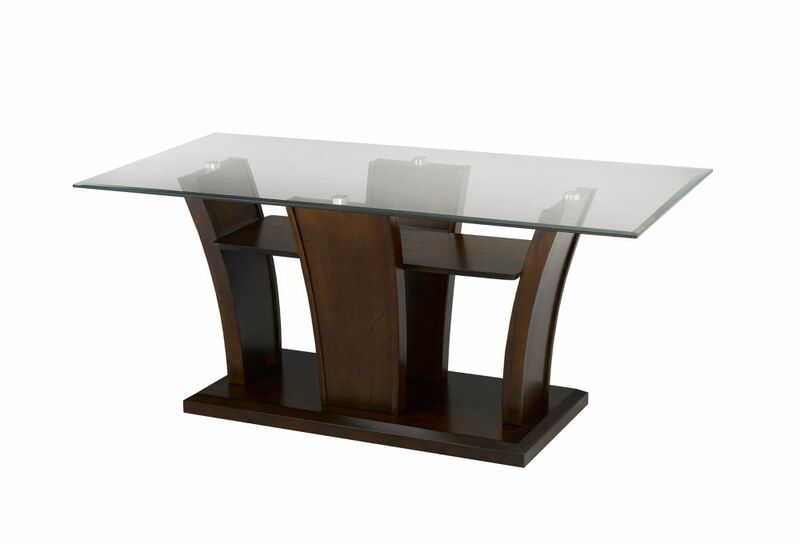 The Ambrose coffee series features a richly toned dark cherry base that gives the illusion of height and supports a tempered glass tabletop. Elliptical lines keep the look clean and refined, while the contrasting elements lend subtle brilliance to your space. With ample surface area, these tables provide plenty of space for your entertaining and living needs.